As Alaska's leaders of industry gather at Resource Development Council's (RDC) annual conference this week in Anchorage, they will be grappling — like many Alaskans — with the daunting task of how to generate revenue and stabilize Alaska's economy with increasingly challenging fiscal realities. The state's record of developing resources in a responsible and sustainable way is often pointed to as a model for the rest of the world. As a commercial fisherman, I'm proud and thankful that the fishing industry has been the shining example of responsible resource development and management in our state. I am encouraged that RDC's stated vision is: "Growing Alaska through responsible development." Because in Alaska we have preserved, for the most part, our opportunity to get it right the first time when it comes to maintaining healthy habitat and clean water while sustaining a resource development-based economy. By and large, Alaska has shown that it is possible to have both responsible industrial projects and healthy renewable economies like fishing and tourism. Wild salmon habitat once included most of Europe, much of the East and West Coasts of the U.S. and Canada, but today, damaged habitat has restricted healthy populations to a small fraction of their former range — outside of Alaska. Relatively pristine habitat is clearly critical for maintaining my business and Alaska's extraordinarily productive seafood industry. RDC's website notes that "Alaska's constitutionally-mandated commitment to sustainable management practices ensures that all Alaska commercially harvested seafood species in Alaska are sustainable for future, as well as current generations." While we get to brag about the constitutional protections for sustainable use underlying the successful state salmon management programs, another reason for that abundance is the uncompromised freshwater spawning and rearing habitat available to support those stocks. Most other areas of the world with once-abundant salmon runs can only wish they had protected their salmon habitats before runs were lost. Efforts underway in Alaska to update our project permitting process are about promoting exactly what the RDC says it stands for: responsible resource development. 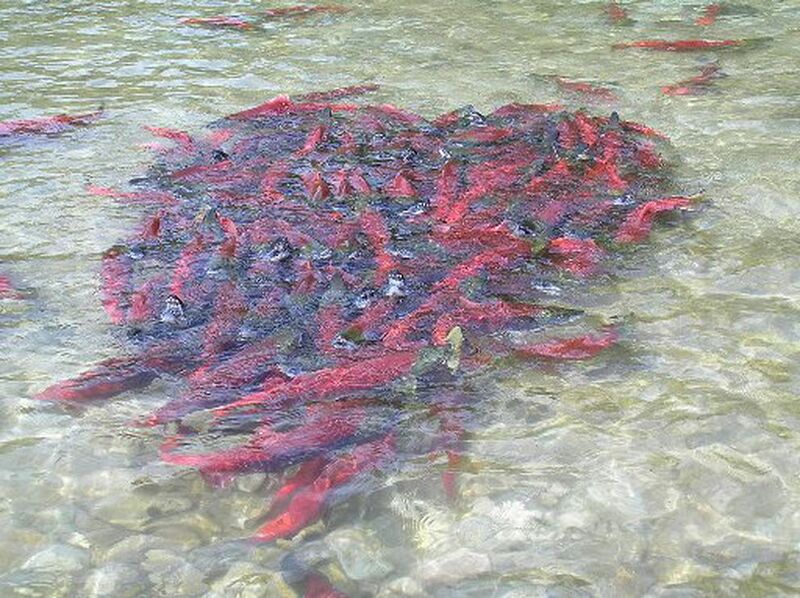 Salmon spawning and rearing habitat currently is ostensibly protected by law and some claim that we have a "robust" and "stringent" permitting system. However this process is guided by 1960s-era laws that are in need of updates and clarifications. For example, the Anadromous Fish Act (16.05.8719d) states that the "commissioner shall approve (development projects)… unless… insufficient for proper protection of fish and game." There is no further clarification about what is meant by "insufficient for proper protection" — not exactly a "robust" standard! The Board of Fish made a request to the Legislature for habitat permitting law updates in January 2017, and in response, Rep. Stutes of Kodiak introduced HB 199, the Wild Salmon Legacy Act. There is also the "Stand for Salmon" ballot initiative proposed for next year — just in case our special session-addicted Legislature doesn't quite finish the job. After almost 60 years, it's time for RDC and all Alaskans to define exactly the standards for developing resources responsibly in our state. RDC's meeting agenda features a group specifically formed to defeat the "Stand for Salmon" initiative. If RDC really does want "responsible development," they, of all groups, should take the lead and support balanced, accountable management of development projects so that we can ensure a prosperous, thriving economy that includes a healthy, sustainable salmon industry. Art Bloom lives in Southeast Alaska and has commercial fished in Bristol Bay for 25 years, along with multiple generations of this family.